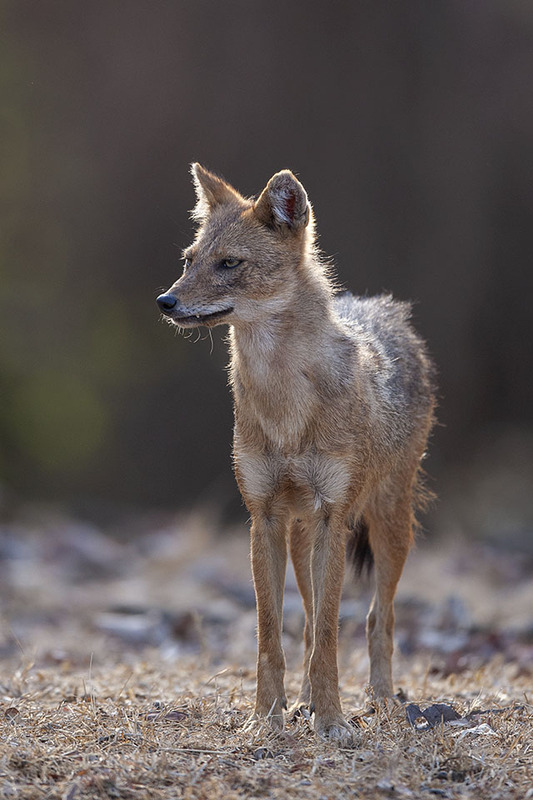 Just when we thought we had seen the best of the Jackals during our safari at Pench and as mentioned in the post – Day of the Jackals, it was not so. 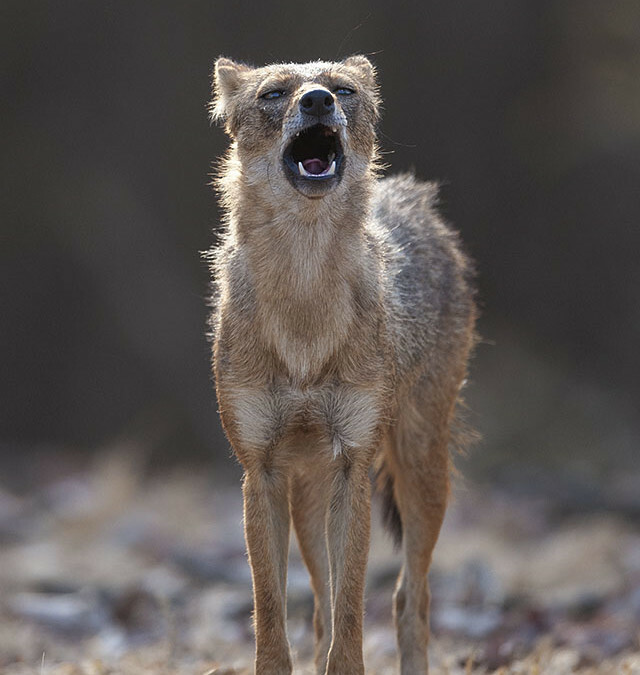 Very soon another Jackal came right up next to the safari track and soon started calling out to all other Jackals in the area. That was simply an amazing sight to watch. 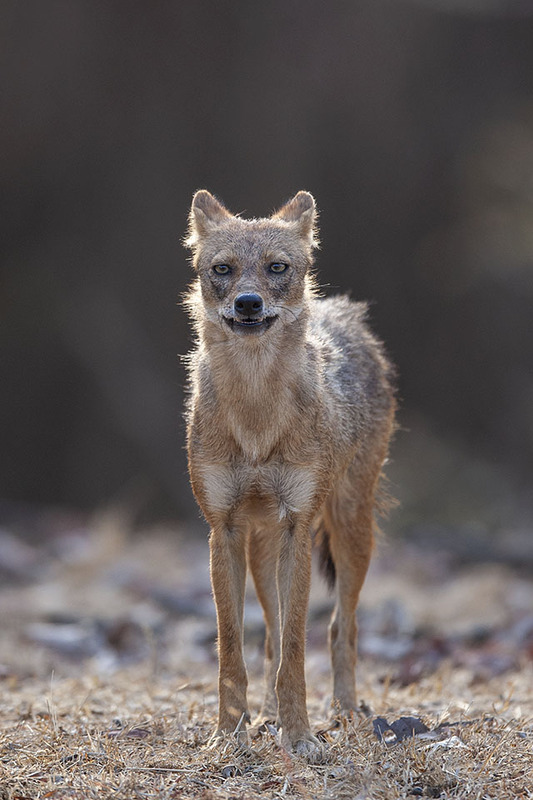 The Jackal’s call was so loud, that it caught the attention of the Nilgai walking in the distance. 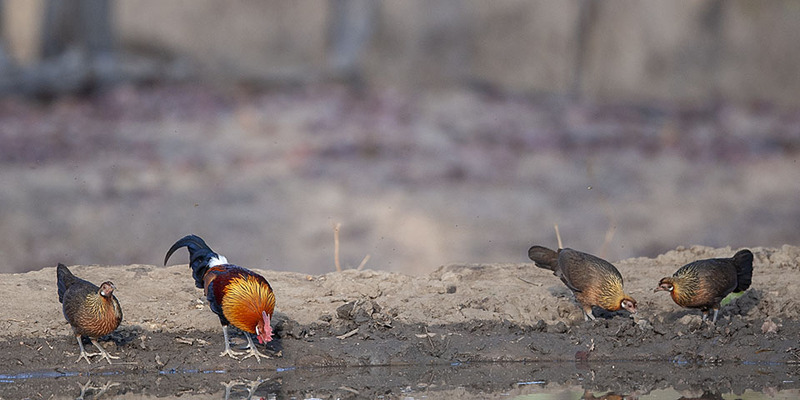 We also spotted a Red Junglefowl along with his brood, quenching their thirst at a nearby waterhole on this hot afternoon. 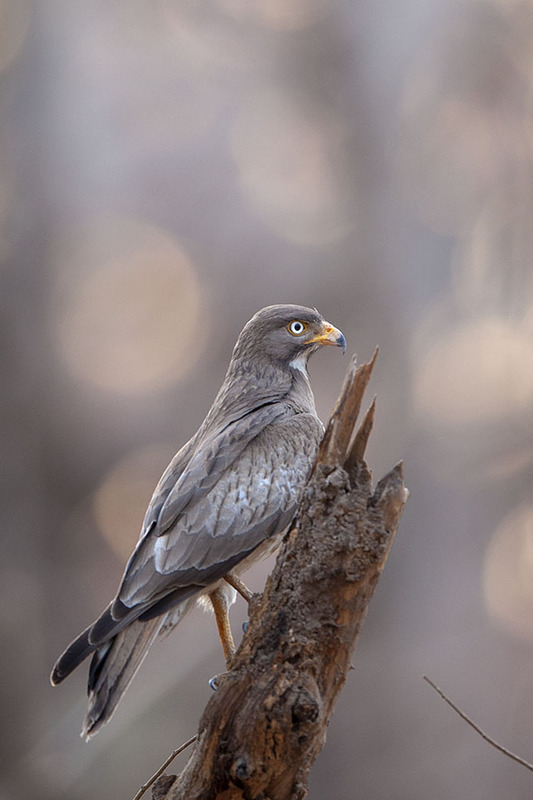 The Pench National Park is also known for the White-eyed Buzzard. 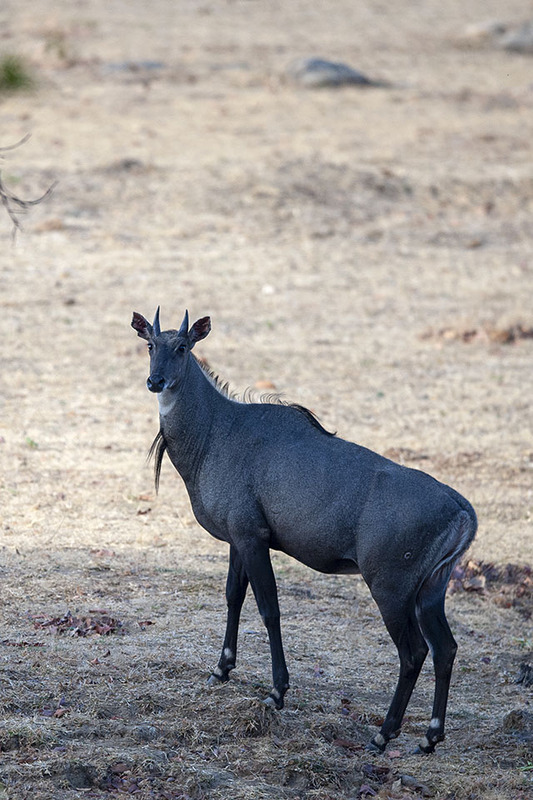 But we were yet to spot one. I was thinking about it when a White-eyed Buzzard came by and sat on a dead tree trunk right next to the road. 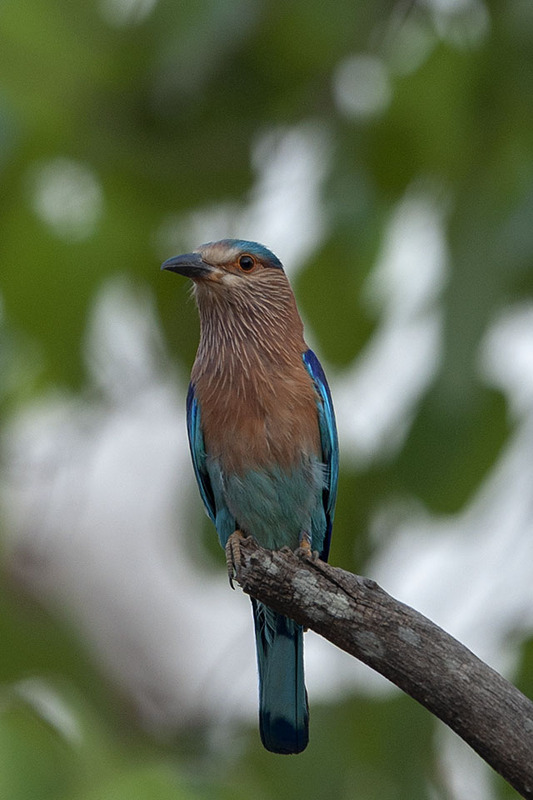 The Indian Roller was the last bird we saw on this safari.